Megadeals guitar picks. Buy huge amounts of picks here! The more you buy, the cheaper it is! Buy large amounts picks of top brands as Jim Dunlop or Boston. Cheap deals! We ship to most European countries with standard shipping and handling costs of € 4,95. 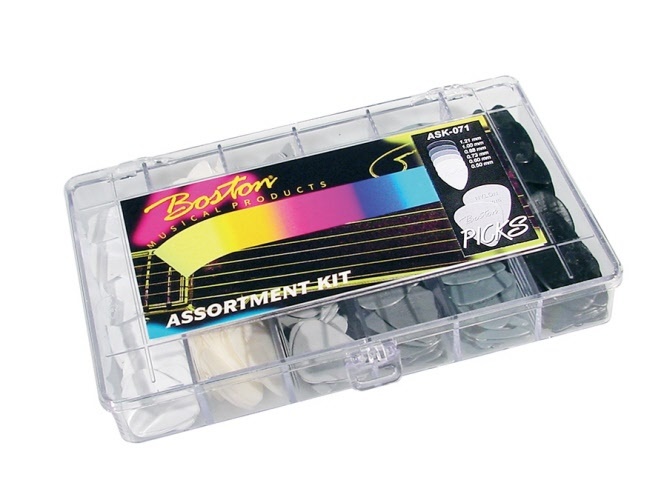 Boston nylon pick with soft pointed surface for a perfect grip. Kit with all sizes, from 0,46 mm to 1,21 mm. 216 pieces for € 59. That's only € 0,27 a piece. With handy storage box. Jim Dunlop Standard pick kit. Complete kit with sizes from 0,50 mm to 1,14 mm. 216 pieces in different colors for only 79. That's only € 0,36 a piece. With handy storage box. 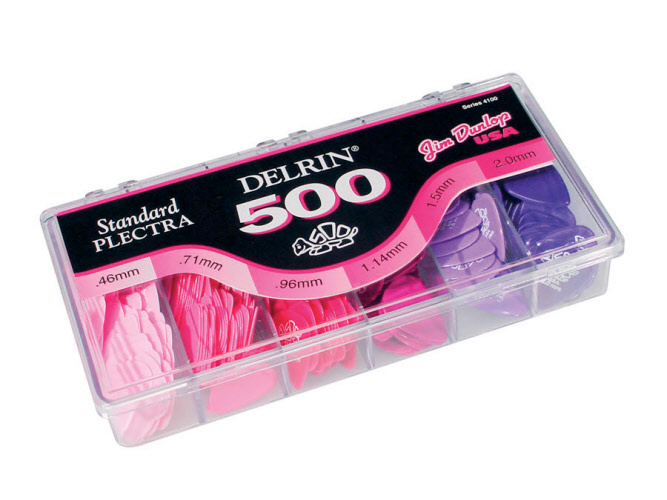 The Delrin 500 combines the best plastics technology for a long sustainability. With a soft and polished surface ideal for soft play and quick release. Complete kit with all sizes, from 0,46 mm to 2,00 mm. 324 pieces in different colors for € 89. That's only € 0,27 a piece. With handy storage box. 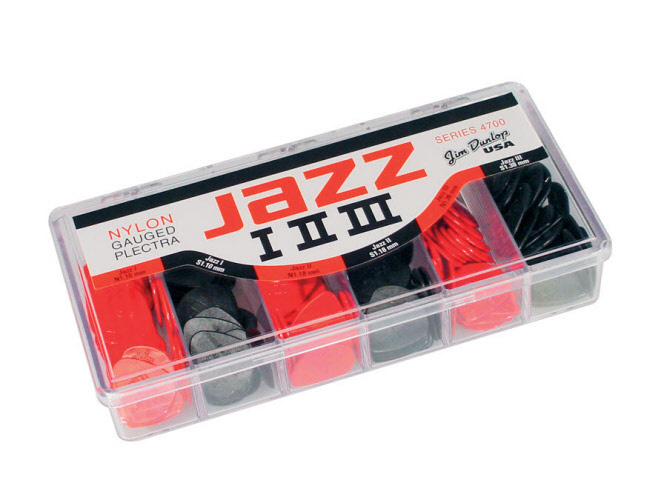 The Dunlop Nylon Jazz is mainly used by jazz guitarists, but can also be used by guitar players with other styles. The picks have a small, but firm grip. Complete kit with all styles, sizes and colors. 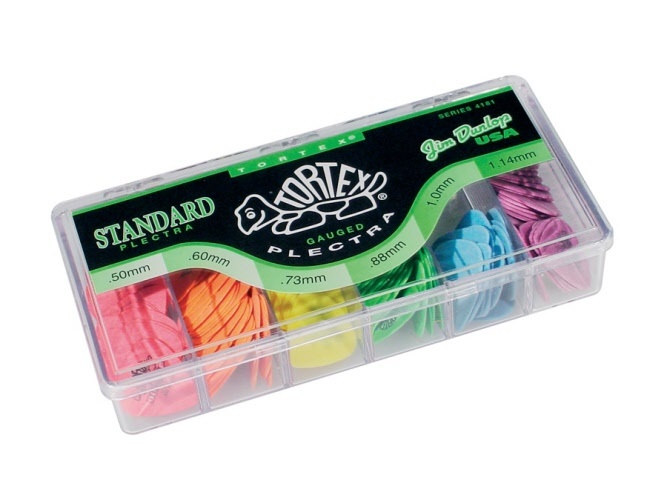 Order now 144 high quality Dunlop-picks for € 89. With handy storage box. 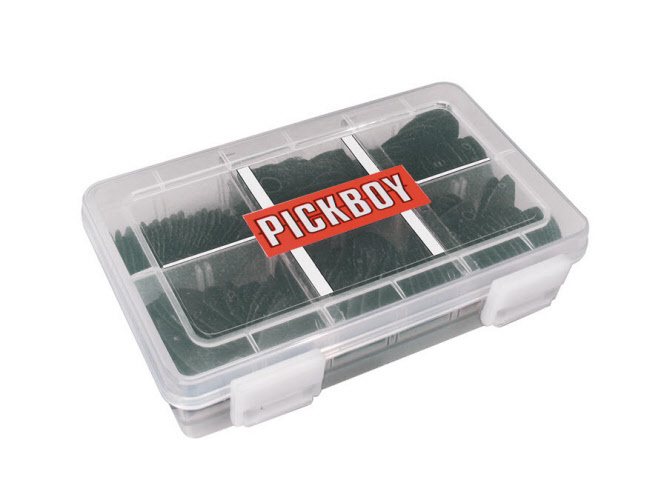 Pickboy Modulous Carbon picks are made of very strong carbon. With these Pickboy picks sustainability is what it is all about. The strong heated carbon displays endurance for the long term. Complete kit with sizes from 0,60 mm to 1,14 mm. Now only € 95. With handy storage box. 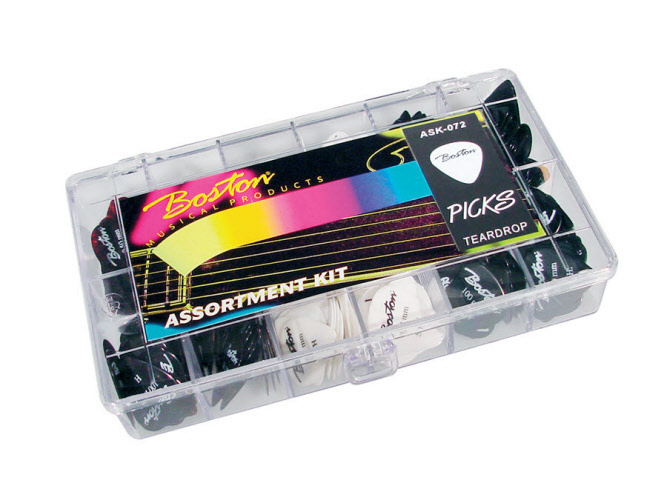 The kit contains picks in the colors black and white and the sizes vary from 0,50 mm to 1,20 mm. Now only € 94. All orders are shipped through the whole of Europe with standard shipping and handling fee of € 4,95.